Young rabbit, humanely raised, with no antibiotics or hormones. The Californian White and New Zealand White breed rabbits are raised by a cooperative of small-scale growers and are fed a vegetarian diet of sweet alfalfa, oats, wheat, and barley. Rabbit meat is light, tender, lean and finely textured, and works well with many recipes, in any season. 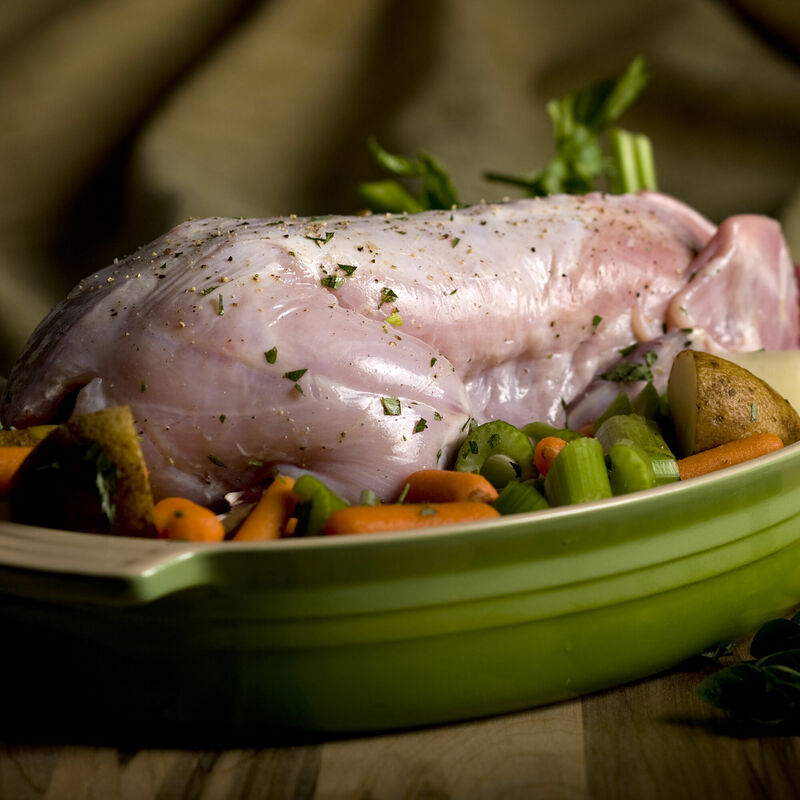 A staple of Italian and French kitchens, rabbit meat is a rarer pleasure in the U.S.
We are proud to work with a cooperative of small family farms in the Midwest; each farm signs an agreement to raise and process the rabbits humanely, and never administer antibiotics or hormones. The Californian White and New Zealand White breed rabbits are fed a vegetarian diet of sweet alfalfa, oats, wheat and barley.